Discussion in 'General Indian Domain Name Discussion' started by Prashant Sharan, Oct 4, 2018. 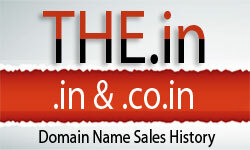 Everybody is very gung-ho about the .in and the .com domain extension in India which is extremely valid for the obvious reasons which is also reflected in the domain sale and resale figures. domain extensions that have the potential to become the next fad.